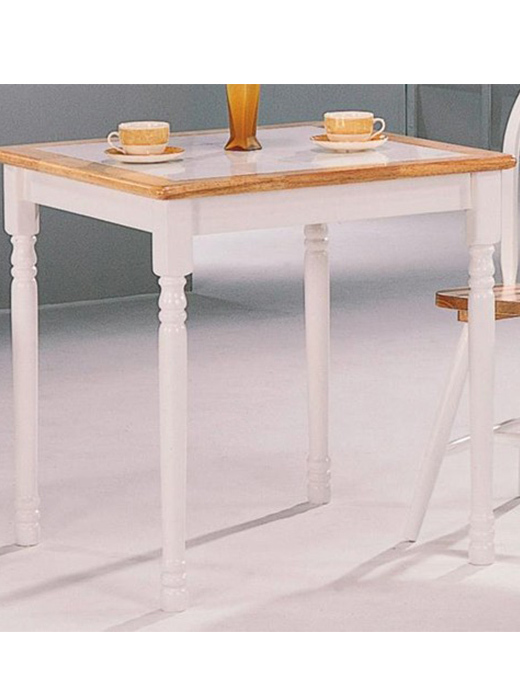 This charming dining table is perfect for the breakfast nook or casual dining spot in your home. 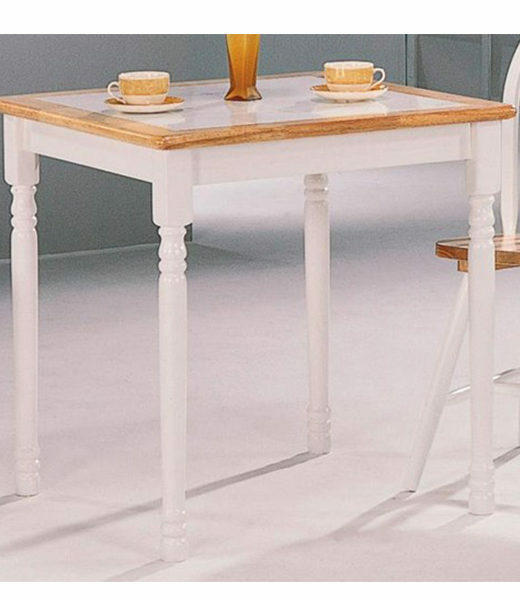 The small square dining table has a white tiled top, with a smooth Natural wood frame. Finish & Paint Options Warm Natural wood finish, or two tone Natural and White wood finish.